Editor's note: Emily is very interested in hearing what you think about the changes you see in rural Newfoundland and Labrador. Please add your comments below. They arrive around the same time that the lupins start to blossom along the road and the caplin begin to roll up the shoreline. Taking into account the island's history of migratory settlers, it could be argued that they are just as natural. I'm talking about seasonal residents -- summer home owners who settle in rural Newfoundland for anywhere from two weeks to four months during the warmer (i.e. less snowy) months. 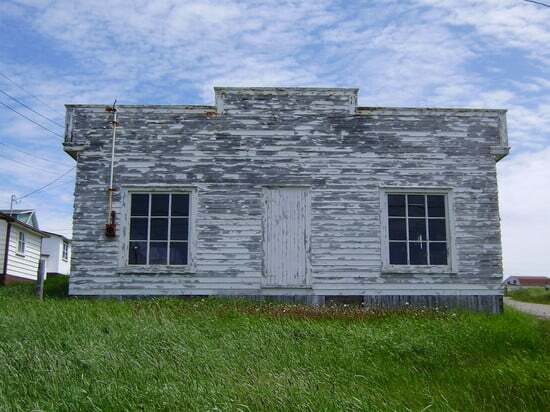 I'd heard that there were people from all across North America and Europe who owned houses in communities like Keels, Duntara and Newman's Cove on the Bonavista Peninsula. Even the Wall Street Journal reported that Americans were buying homes in rural Newfoundland "for the price of a used SUV." I thought, "Really? Who are they? Why did they choose this area and how do the locals feel? Someone should really look into that." This is how I ended up here in Upper Amherst Cove, along with my partner, the Arctic scientist, who is often away in Labrador. The population of the Cove is up for debate, but hovers somewhere around 30 souls. 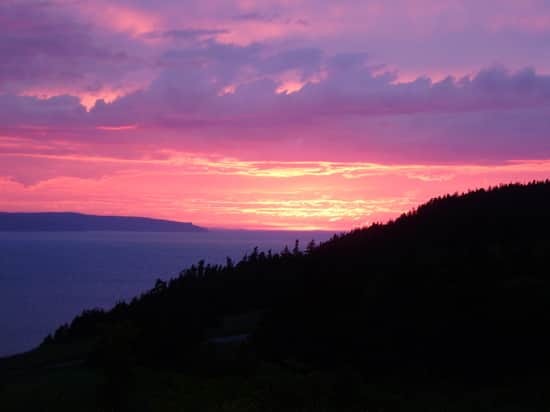 How much is this view in Upper Amherst Cove worth? I'm more closely evolved from the summer residents than the livyers and as an Ontarian expat living in St. John's I knew this research -- towards my PhD thesis in Folklore at Memorial University -- would be a challenge. How would I approach people? Luckily, I have two unruly, yet useful ambassadors. 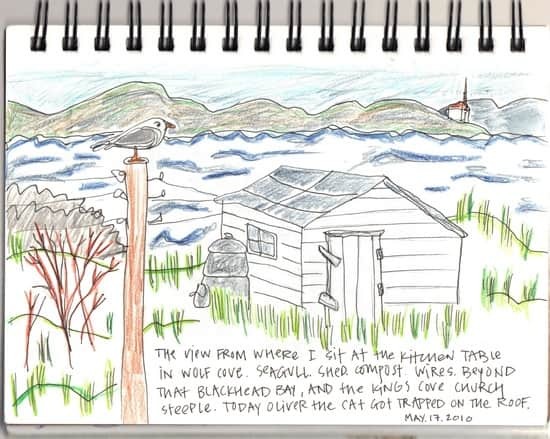 An early field note chronicling the world outside the kitchen window. When moving to a rural community with the intention of conducting research and interviewing the people who live there it's important to bring a pair of disobedient animals -- preferably a cat and a dog. Because these animals will disappear for days on end, threaten the baby goats in the adjacent field, and generally wreak havoc on the local canine balance, you have an immediate ice breaker (usually initiated by an apology). It started with my cat, Oliver Patrick, escaping out the back door of our rental home the day after we moved in. An encounter with a pack of local dogs sent him roof-ward where he perched during an afternoon hailstorm refusing to be lured down even by the promise of Chicken Liver Fancy Feast. Then he disappeared into the woods. This prompted a somewhat hysterical door-knocking flurry during which I introduced myself to many of my neighbours and asked if they'd seen a moderately overweight calico cat. 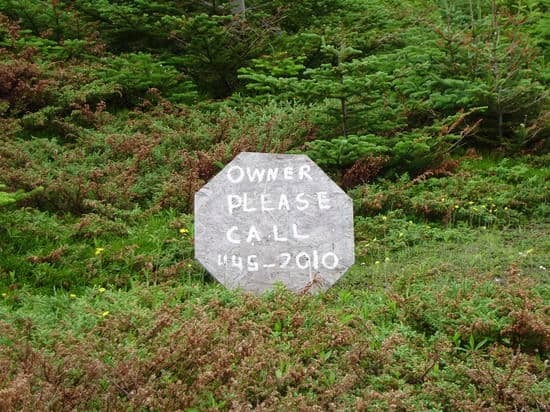 A creative land buying technique seen in Newman's Cove. Oliver Patrick sauntered in three days later looking bored and somewhat smug after his romp in the wild, but news of his disappearance spread far and wide. Months later I still meet people who'll ask if my cat ever came home. Mostly due to animal interference, I have been able to meet and interview quite a few year-round and seasonal residents. The summer folks come from all over. Some have family ties to the area while others end up here by chance: an enticing For Sale sign spotted during a family vacation; a word-of-mouth deal on a home they'd never seen in a province they'd never visited. Old buildings no longer in use, like this one in Newman's Cove, capture the interest of prospective buyers. This cosmopolitan influx gives the local economy a summer boost while the seasonal residents get to take in the seaside landscapes and fresh air, never having to battle a winter's gale or shovel their driveway. But, I wonder, can you truly experience life on this island in one season? 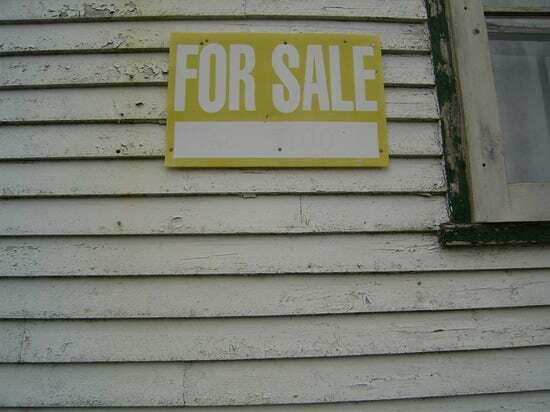 A faded For Sale sign in Trinity.